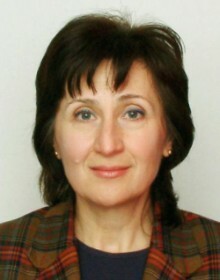 Professor Cleo Protokhristova, DLitt teaches Classical and Western European Literature and is head of the Comparative Literature Department at the Paisii Hilendarski University of Plovdiv. She is the author of six books, among them Ogledaloto – literaturni, metadiskursivni i kulturnosapostavitelni traektorii [The Mirror – Literary, Metadiscursive and Comparative Culture Trajectories], Plovdiv: Letera, 2004; Zapadnoevropeyska literatura. Sapostavitelni nablyudeniya, tezisi, idei. [Western European Literature. A comparative study – topics and ideas], Plovdiv: Letera, 2003 (2008); Blagozvuchieto na dissonansa. Opiti varhu mezhdutekstovostta. [The Harmony of Dissonance. Attempting intertextuality.] Sofia: Sofia University Press, 1991; second edition: Shumen: Altos (Biblioteka Akademika), 1996. Team leader of the English language team.